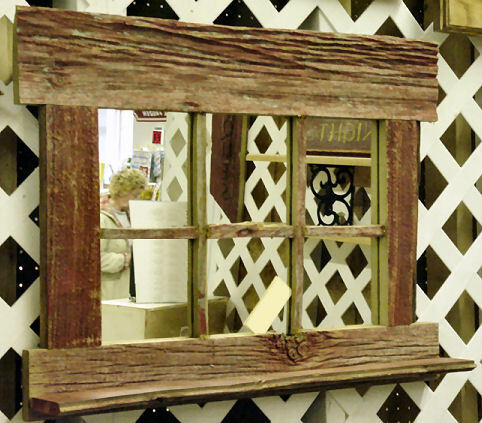 This is a sample of the Barn Siding Country Windows or Barn Siding Mirrors that we make and sell so many of. They are made of real barnsiding. These from a barn that once stood near Louisville Ohio. The date on the barn was 1853. No two mirrors look alike. 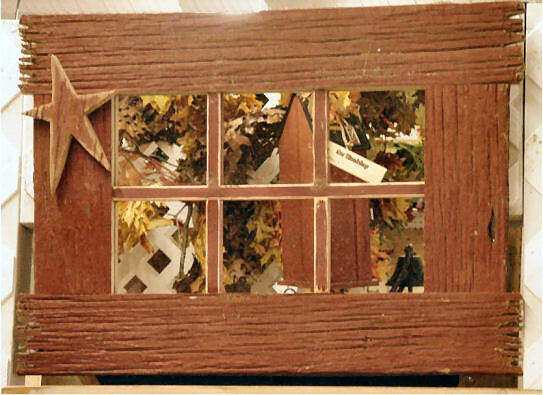 Please tell us what you are looking for and we will do our best to handcraft something just for you. 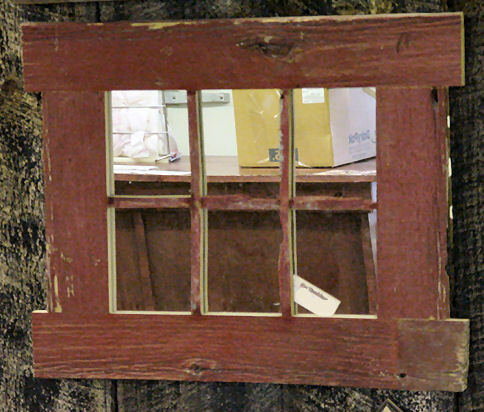 Most of the barn siding that we have is red or gray.The wood from the inside of the barn is grey and worn but not as weathered.